What's The Cheapest Rental Available In North Beach, Right Now? According to rental site Zumper, the median rent for a 1-bedroom in North Beach is around $3,300. But what does the low-end pricing on a rental in the area look these days--and what might you get for your money? We sorted through listings for studios and 1-bedroom apartments to see what budget-minded apartment seekers can expect to find, but note that these prices and availability are subject to change. Listed at $2,595/month, this 1-bedroom, 1-bathroom apartment at 449 Filbert St. is 21.4 percent less than the $3,300/month median rent for a 1-bedroom in North Beach. In the unit, look for hardwood flooring, built-in storage features, generous closet space, ample natural lighting and Golden Gate Bridge views. Pets are not permitted. This 1-bedroom, 1-bathroom apartment at 125 Bay St. is listed for $2,950/month. In the sunny unit, the listing promises central heating, carpeted floors, a fireplace, a dishwasher and stainless steel appliances. Building amenities include assigned parking and on-site laundry, but cats and dogs are not permitted. Here's a 1-bedroom, 1-bathroom apartment at 9 Nobles Alley in a 5-unit building that's going for $2,995/month. 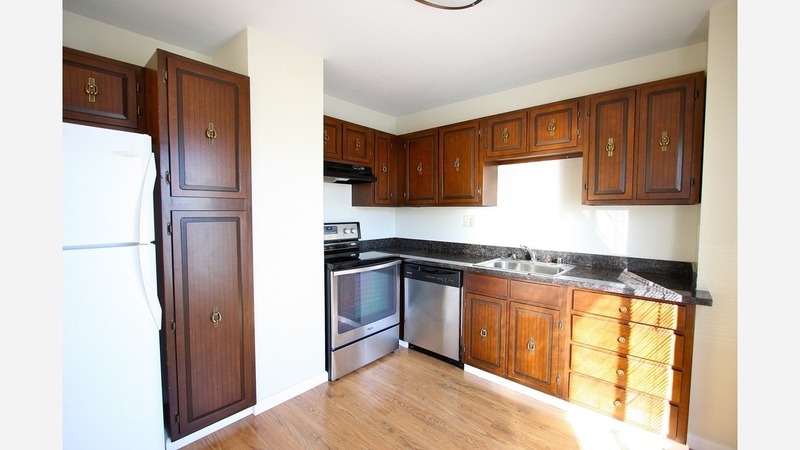 The unit has hardwood floors, stainless steel appliances, a dishwasher and ample natural lighting. Pets aren't allowed, but there's a laundromat next door. Then there's this 600-square-foot condo with one bedroom and one bathroom at 240 Lombard St. listed at $3,100/month. In the furnished unit, tenants are promised hardwood floors, a dishwasher, granite countertops and stainless steel appliances. Pet guardians, inquire elsewhere--this spot doesn't allow cats or dogs. The building offers assigned parking, a fitness center, a business center, concierge service, outdoor space and on-site laundry. When it comes to building amenities, expect assigned parking, a fitness center and an elevator. In the seventh-floor unit, you'll find a mix of hardwood floors and carpeting, in-unit laundry, a dishwasher and good natural lighting. Neither cats nor dogs are permitted.